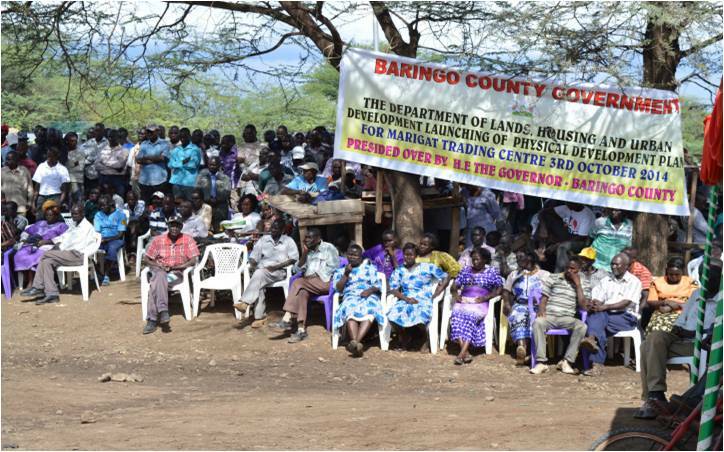 The department of lands and urban settlement in Baringo County is keen to foster the use of land as a factor of production to achieve accelerated economic growth. In the last three years, the department has spearheaded develop- ment of physical and special plans for various towns and centers within the County The main objective of preparation of market/urban centre development plans is to control Major planning challenges facing the trading centres such as; urban sprawl, uncontrolled land fragmentation, uncontrolled urban development, slum proliferation, land speculation, reduced land productivity, lack of land ownership documents and environmental degradation. 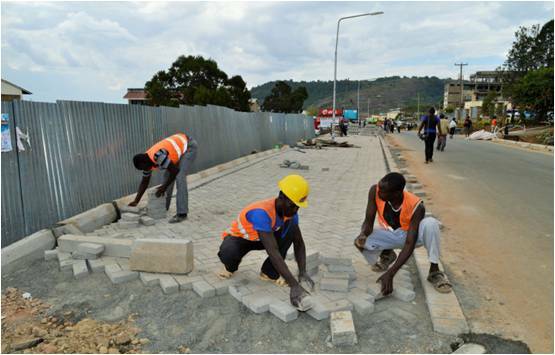 It also improves the public access to basic services such as accessible roads, water, markets enabling processing of ownership documents that will increase access credit facilities; enhance growth and development of centers. It is gratifying to note that the department has facilitated the acquisition of more than 10000 title deeds to be handed over to land owners by HE, Governor Benjamin Cheboi. This is a great achievement as it will enable land owners to fully utilize their parcels of land and also use the ownership document to access credit facilities and commercialize livestock and crop production as well as reduce conflicts associated with land..Other areas that have been adjudicated and demarcated fully will get their land documents in due course. The town development plans for Mogotio, Marigat, Chemolingot and Koloa have been approved. Barwessa, Kabartonjo, Kipsaraman, Kabel and Emining centres are being revised while others are in progress. National assembly departmental committee on lands, housing and urban de- velopment recently visited Mochongoi to collect citizens’ views and opinions to de- gazette Mochongoi forest to pave way for settlement of our people. I am informed that the report is in the national assembly and will be approved anytime soon.